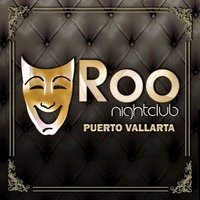 Here's a guide to and reviews of many of the straight bars, discos, nightclubs, antros, entertainment joints, pubs, cantinas and sports bars in Puerto Vallarta, Mexico if you want to check them out, have to decide on fun places or want to know about where to party in town. 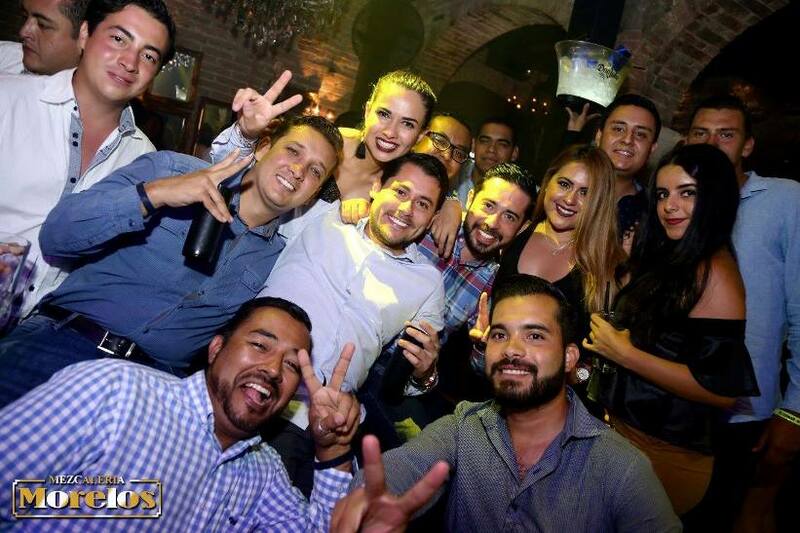 This page does list most of the frequented and best Puerto Vallarta nightlife fun spots for drinks, music, partying, dancing and sports watching, and gives their locations and phone numbers. 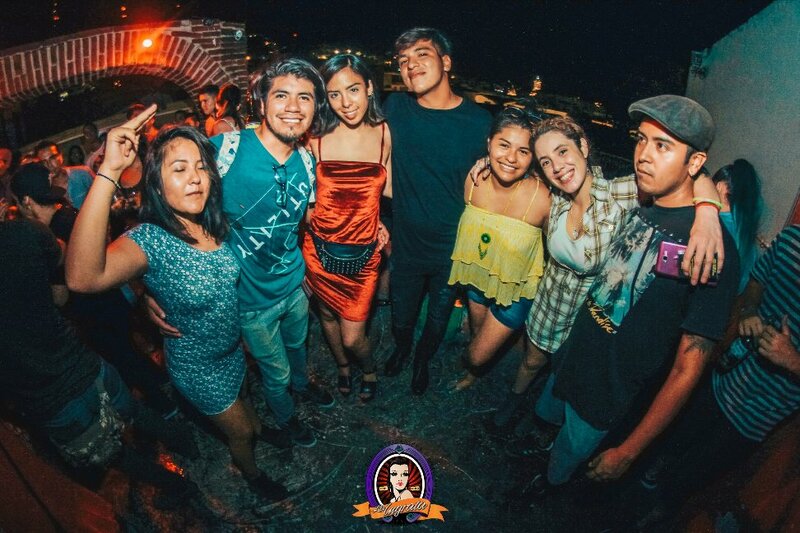 The most bustling and popular bar and clubbing scene is the general downtown-El Centro malecon neighborhood which includes such hangouts as Mandala, Senor Frogs, and La Vaquita, the newest party locale downtown, which is right next door to the Zoo. 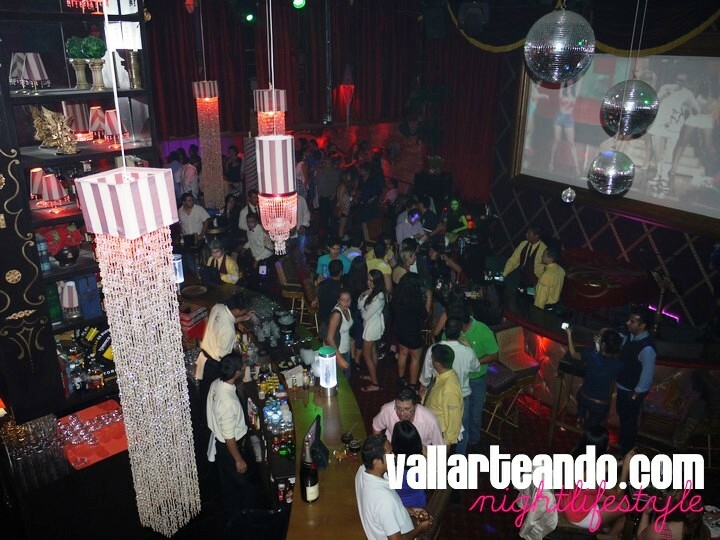 So now three of the best downtown night life venues: Mandala, the Zoo and La Vaquita are lined right up alongside each other on Díaz Ordaz street. The restaurant and bar La Bodeguita del Medio presents excellent live Cuban and salsa music; The Jazz Foundation and La Dulce Vita Italian restaurant have jazz; La Chata and El Andariego restaurants have mariachi; Paradise Burger, Wingman and Murphy's Irish Pub have live rock on a regular basis, while Wing's Army sometimes has live rock, ska and reggae. 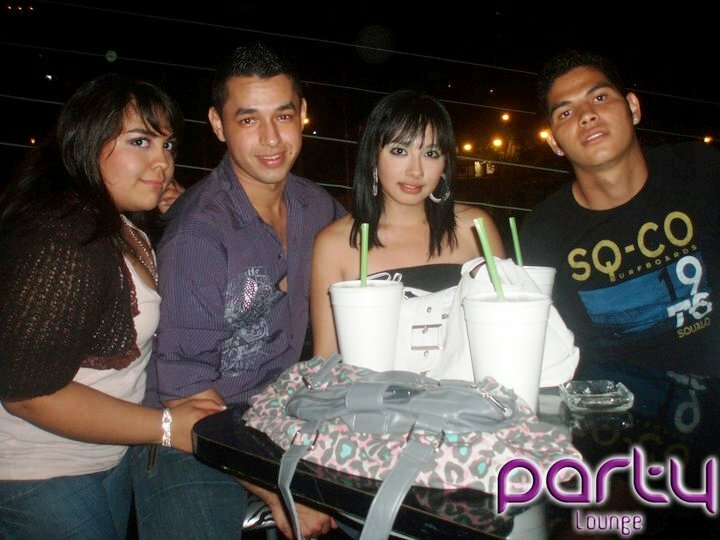 Wingman is perhaps the top choice for late night live rock 'n roll, drinks and views of the PV malecon boardwalk. 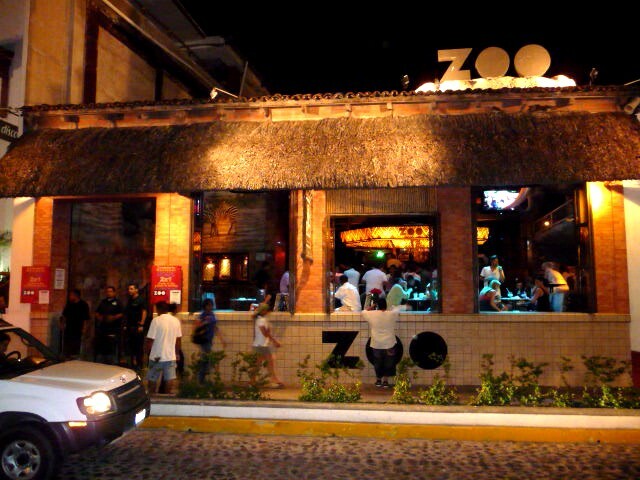 Locals and tourists used to hang out on the malecon across from Carlos O'Brian's for socializing and people watching; now crowds tend to congregate around nightclubs Mandala and the Zoo bar. 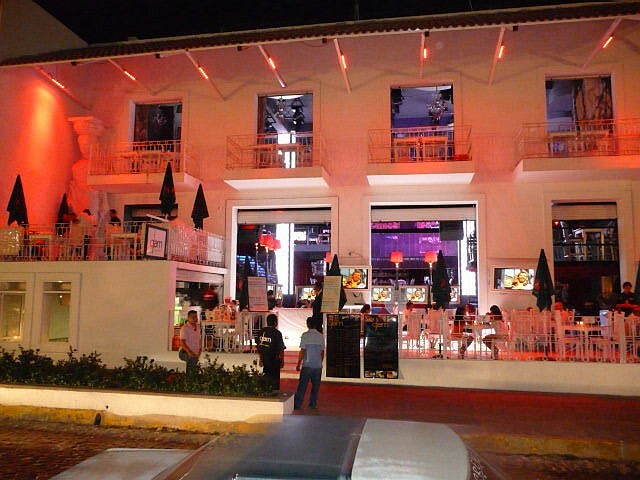 On the North Side of town in the Hotel Zone or Marina area, there are a number of popular places to party that include Xtine Club (formerly Hyde and Christine discotheque), Strana nightclub, and La Santa, the newest upscale and posh Puerto Vallarta disco-dance spot which opened in late February 2014. And don't forget some of the smaller sports bars along the Marina malecon boardwalk promenade. There's also a high energy nightlife party scene in El Centro or downtown at Liberty and La Regadera (both with karaoke) on Morelos street, one block up from the Malecón. 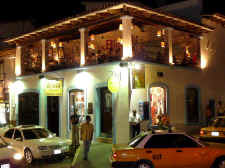 Another area of straight night life in PV is the located in the South Side area, south of downtown and across the Cuale River, at times referred to as the Romantic Zone or Old Town. 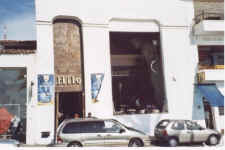 Centered along Ignacio Vallarta street near gay clubs CC Slaughters and Paco's Ranch (formerly Club Paco Paco), you can find live music & fun times at Club Roxy Rock House and El Torito, as well as a fair number of smaller cantinas, sports bars and watering holes like All Access, Bar La Playa and Gringo Loco in that general vicinity. 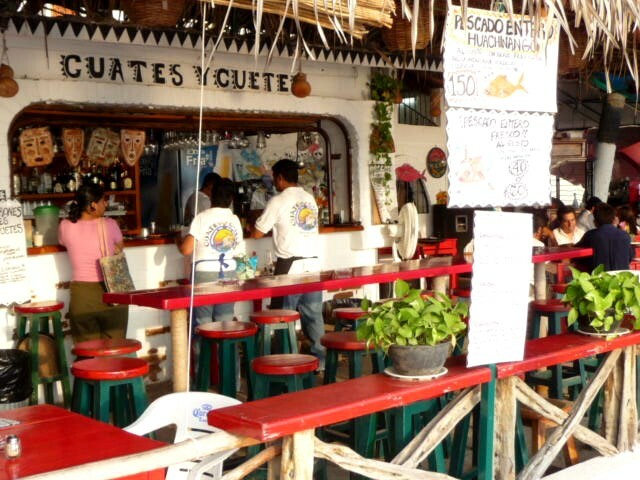 Or head over a few blocks closer to Los Muertos beach to visit Nacho Daddy for dining, drinks, sports and music, or along Olas Altas street at Andale, a South Side favorite for well over 30 years now. 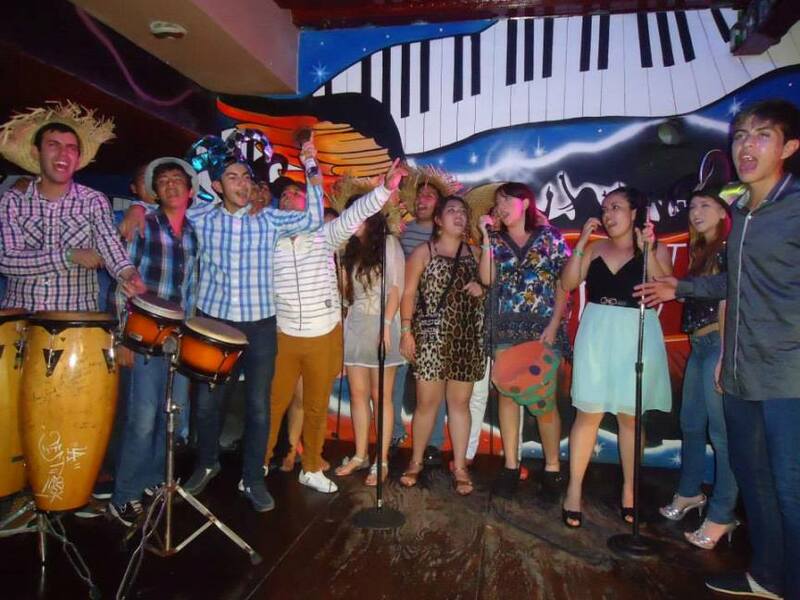 From what I see and hear I would rate Mandala, the Zoo and La Vaquita as the current top trendy spots downtown for nightclubbing and a good time, and La Bodeguita del Medio as tops for live music. 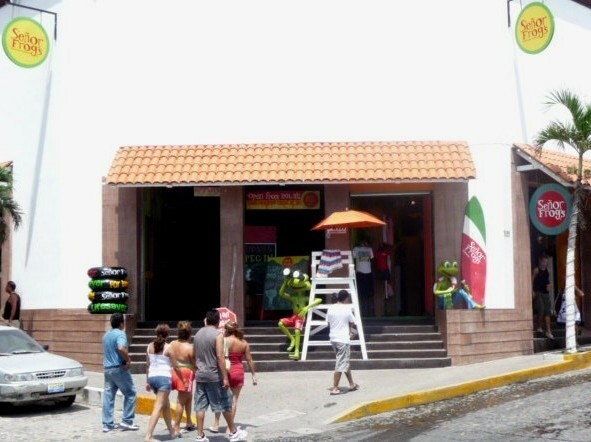 Señor Frog's is also popular and often crowded as they serve food and alcohol and have dancing and such. 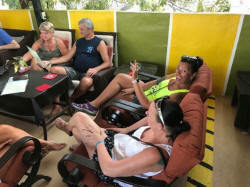 So as you can see the city has become quite the beach party-town in many ways, offering a wide variety of entertainment venues of all sorts. 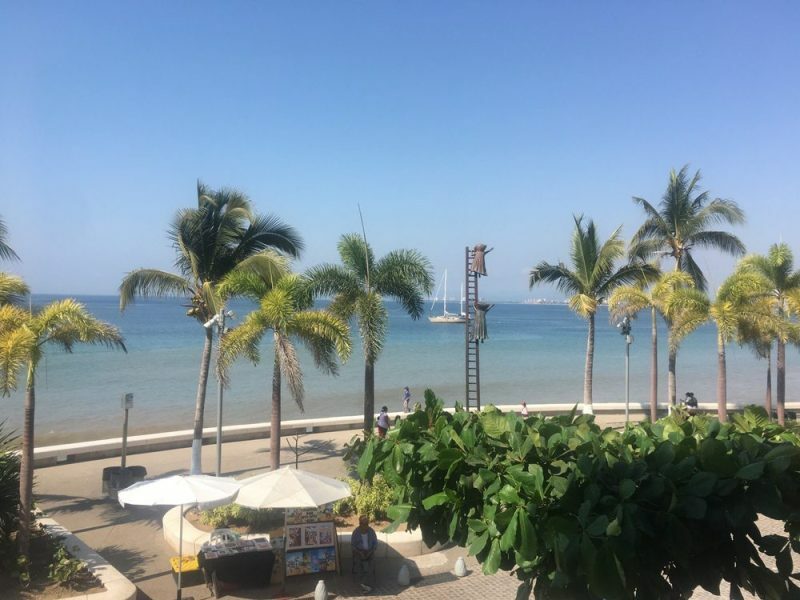 Taking into account accessibility, affordability, popularity, proximity to local beaches and partying mentality, U.S. News & World Report considered Puerto Vallarta to be the best spring break destination in the world. Brando's Bar - Marina district - Condos Marina del Rey locale #11. 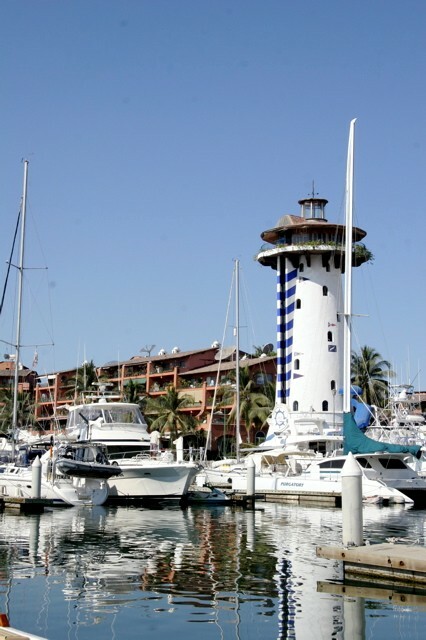 Located in the Hotel Marriott Casa Magna and featuring two of the largest giant screens in town, nearly 5' by 8' and some 21 flat screen televisions showing a multiple selection of programs. 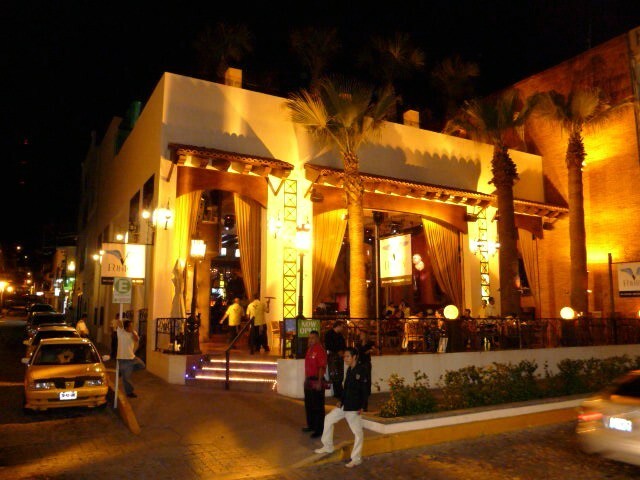 Serving tourist American foods such as burgers, sandwiches, pizza, appetizers and tacos until 1am and alcohol until closing. Champions sports bar and grill with pool tables. I have seen good reviews. 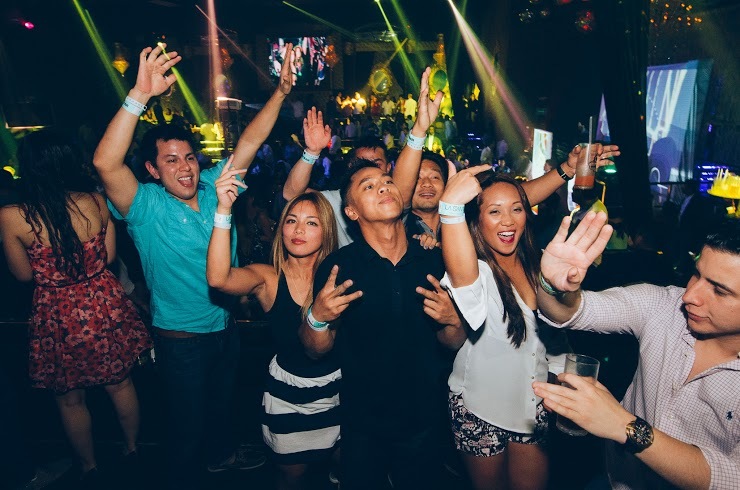 Daily, 11am-2am. 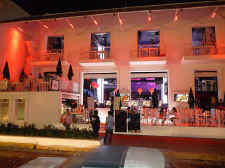 Christine Disco - North Side - Ave. de las Garzas at the Krystal Hotel. 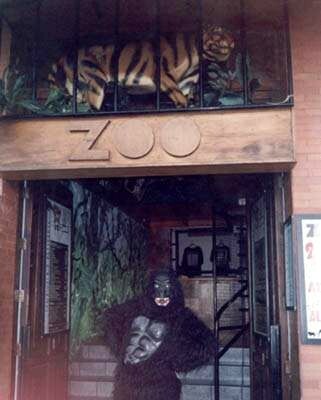 Christine is permanently closed. 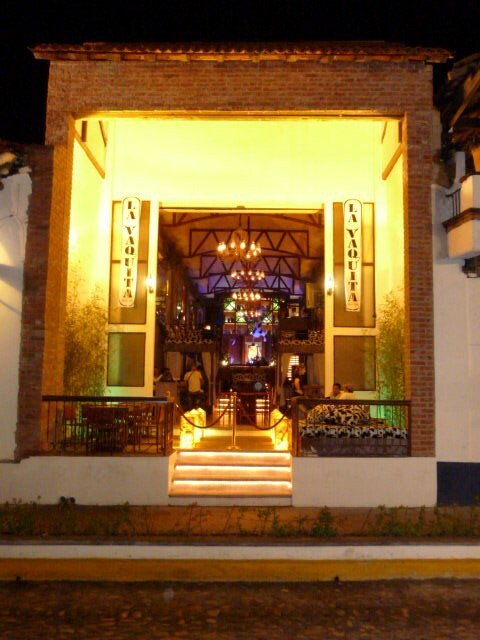 The place was remodeled and renamed Hyde from December 2010-2011 and is now named Xtine (see below). 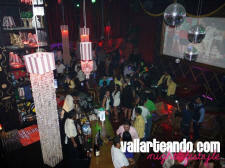 A large discotheque dance club on the north side in the Hotel Zone of Puerto Vallarta, Christine's had a capacity of around 1,200 partygoers (photo at left). 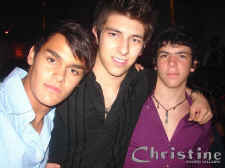 Classy and trendy, from October 1986-November 2010. El Sonador - Romantic Zone - 229 Ignacio Vallarta street. 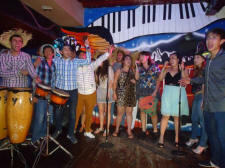 Further information and Puerto Vallarta nightlife reviews and recommended hangouts can be found here: All Vallarta Message Board - Bar and Restaurant Reviews (probably the liveliest and most current Board-forum in town) and there's always Trip Advisor's Nightlife in Puerto Vallarta - Attractions, and the Nightlife in PV by Student Travel at About.com to check out. 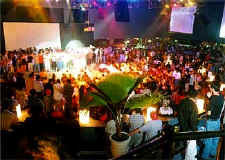 One of the finest overall local entertainment calendars of daily events are at Rick and Sarah Hepting's helpful The PV Scene (events, entertainment, art, etc); and one of the best websites with photos of fun revelers having a great time at many of the straight night spots is on the Vallarteando website (eventos, antros, bares, fotos - in Spanish) and Vallarteando facebook. 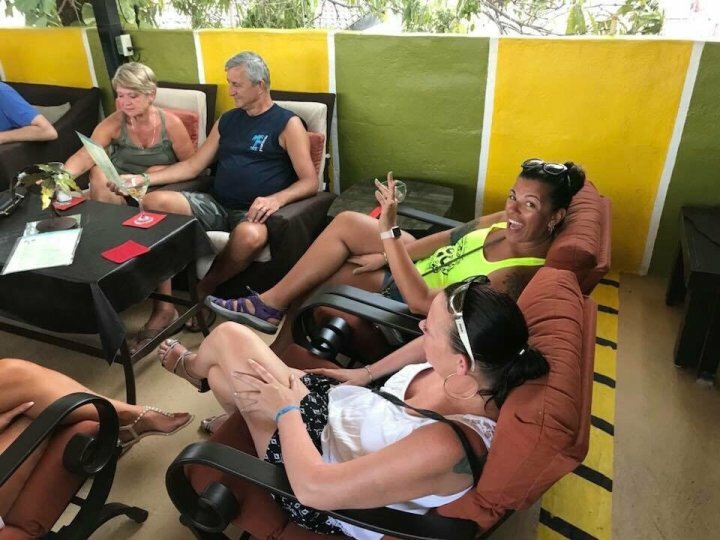 Remember, the info provided in the Puerto Vallarta Gay Travel Guide was considered accurate when posted but changes occur, so you may wish to confirm any details directly with the businesses in question before planning your time out. 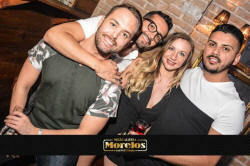 Travel advice: As in all of Mexico, I recommend that you check drink and food prices before ordering, always keep good track of your bill, pay in cash whenever possible (avoid use of credit cards), and be sure to count your change regardless of which places you go out to to party, eat, socialize or dance. 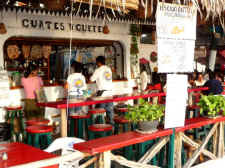 Please be generous in your tipping to our friends and waiters here in Puerto Vallarta as wages in Mexico tend to be low. 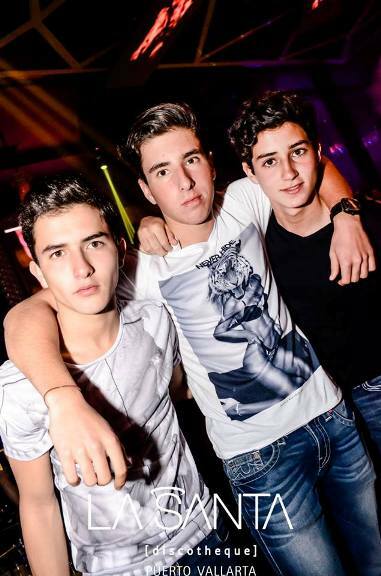 The tip rate is same as in the USA, 15-20%. 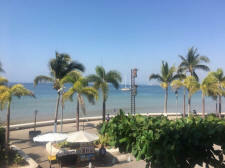 Go here for some of my own excellent travel tips & vacation advice. Note: The Pto. 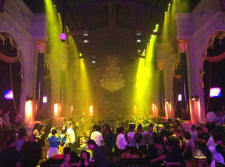 Vallarta, Mexico nightlife scene has changed considerably over the last few years. 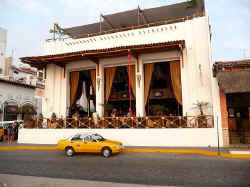 Along the malecon, Kahlua and Mogambo were sold together in 2007 and soon replaced by the now quite popular Mandala discotheque-bar. 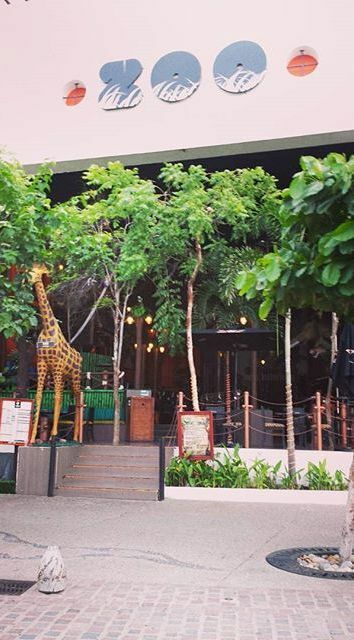 Senor Frog's moved over from V. Carranza street on the South Side to its current excellent locale where Planet Hollywood was years ago. 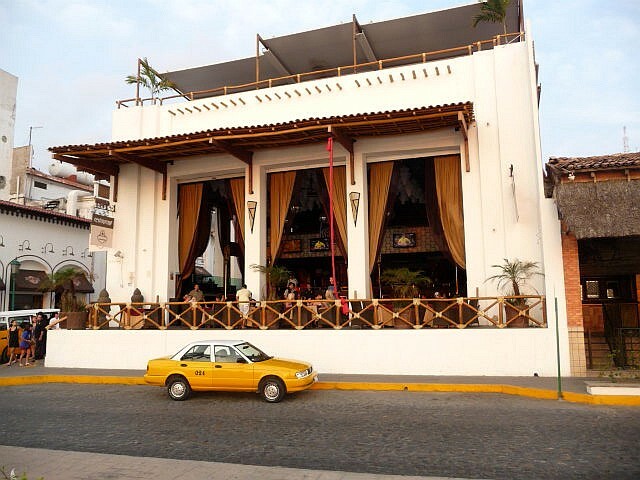 The age-old Carlos O'Brian's was sold in 2009 and replaced after over 30 years by the sleek new nightclub-restaurant Punto V, and the beautiful old No Name Cafe building (like O'Brian's) was demolished in 2009 to make way for the chic restaurant-disco Glam, which occupied that coveted Puerto Vallarta downtown location less than a year, and has itself just been replaced-remodeled into the upscale new disco-bar Roo which had its inauguration in October 2010. Wing's Army, which had taken over the old Viejo Vallarta restaurant spot, moved into the more central location as the beachfront part of Z-tai restaurant in the middle of the downtown boardwalk next door to Bubba Gump restaurant. 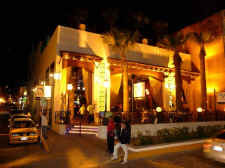 The new Plaza Peninsula by the Pitillal river in the Hotel Zone now hosts three popular nighteries: Barra Bar/Disco Rocki, La Isla, and de Santos (which moved over from Morelos street in mid-2011). After 24 years, Christine disco permanently closed in late September 2010, was taken over by the totally remodeled and expanded Hyde nightclub-disco (opening late December 2010) which has now been taken over and renamed as Xtine (opened December 2011). The younger crowds used to hang out on the malecon across from Carlos O'Brian's to socialize, drink and watch the passersby; now they tend to gather across from club Mandala and The Zoo bar.